View books by this author TOLKIEN, J.R.R. [Complete set comprising 'The Fellowship of the Ring', 'The Two Towers' and 'The Return of the King'. Second Edition. Mixed Impressions]. 3 vols., 8vo., Second Edition, Mixed Impressions, with 3 folding maps in red and black, neat signature on front free endpaper of second volume; burgundy cloth, gilt backs, red tops, a very good, bright, clean set in unclipped dustwrapper. 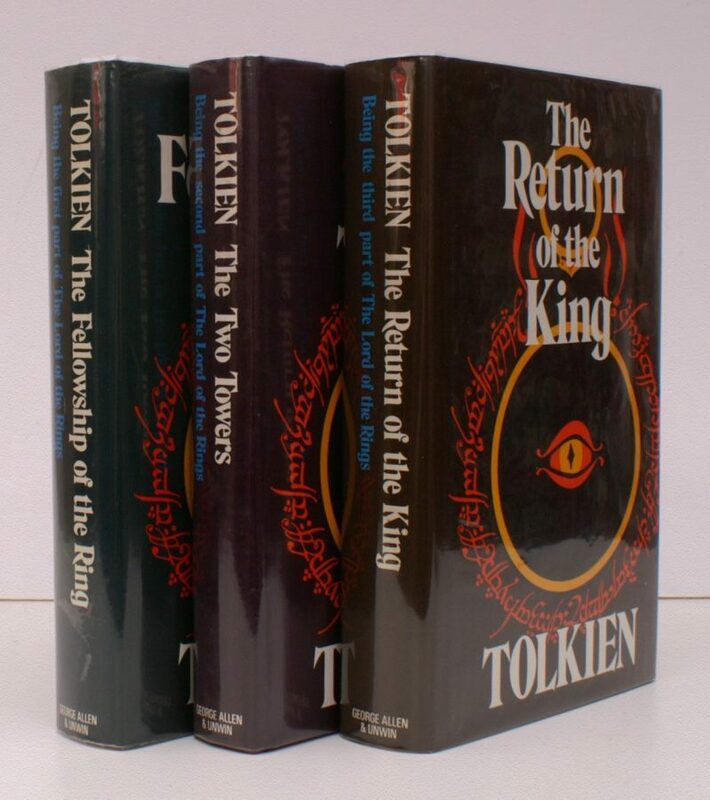 The set comprises: The Fellowship of the Ring (Twelfth Impression); The Two Towers (Eleventh Impression); The Return of the King (Eleventh Impression). A CRISP SET OF THE REVISED SECOND EDITION.